Philippine authorities have begun evacuating thousands of buildings in the path of the most powerful typhoon this year, closing schools, readying bulldozers for landslides, and placing rescuers and troops on full alert in the country's North. Forecasters said Typhoon Mangkhut could hit northeastern Cagayan province on Saturday. It was tracked on Thursday about 725 kilometres away in the Pacific with sustained winds of 205 km/h and gusts of up to 255 km/h, they said. 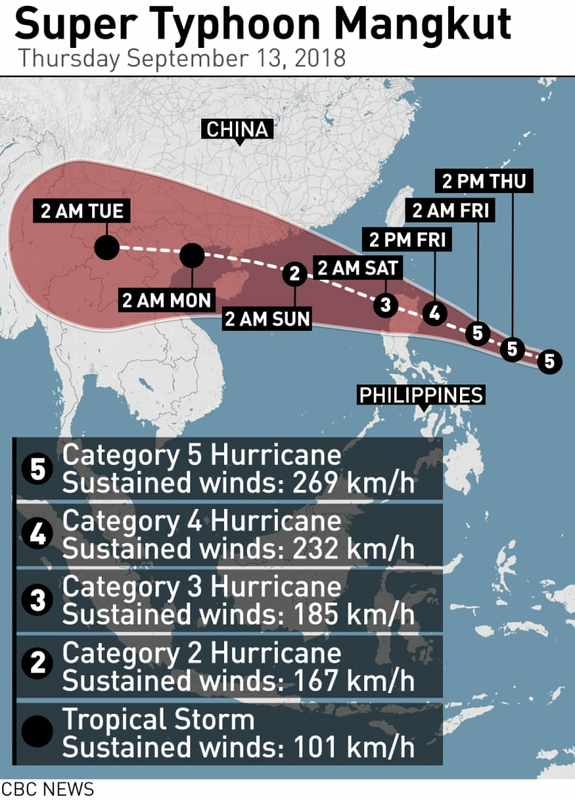 With a massive rain-cloud band 900 kilometres wide, combined with seasonal monsoon rains, the typhoon could bring heavy to intense rains that could set off landslides and flash floods, government forecasters said. Storm warnings have been raised in 25 provinces on the main northern island of Luzon, restricting sea travel. 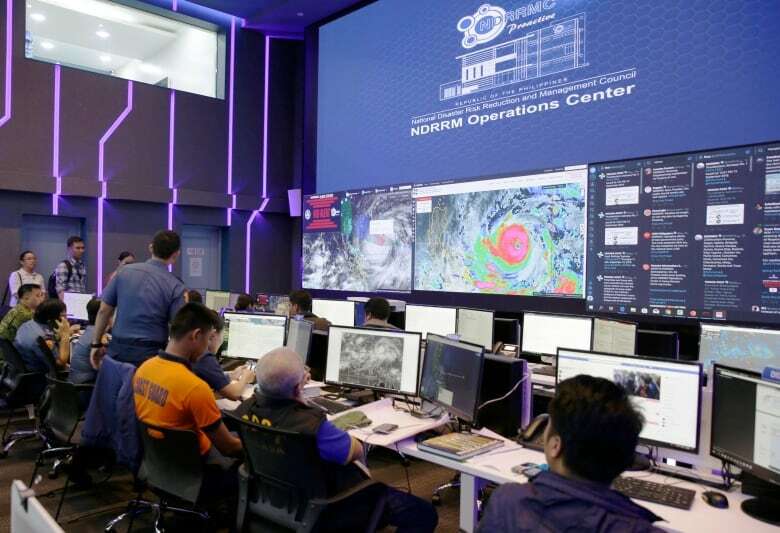 Ricardo Jalad, Office of Civil Defence chief, said more than four million people in the northeastern provinces of Cagayan and Isabela and outlying provincial regions are vulnerable to the most destructive effects near the typhoon's 125-kilometre-wide eye. Nearly 48,000 houses in those high-risk areas are made of light materials and vulnerable to Mangkhut's ferocious winds. Cagayan Gov. Manuel Mamba said by telephone that evacuations of buildings in risky coastal villages and island municipalities north of the rice- and corn-producing province of 1.2 million people have started, and classes at all levels have been cancelled. "The weather here is still good, but we're moving them now because it's very important that when it comes, people will be away from peril," Mamba said. The Office of Civil Defence said other northern provinces also started evacuating residents Thursday from high-risk areas, including in northern mountain provinces prone to rain and mudslides. Residents covered glass windows with wood, strengthened houses with rope and wooden braces and moved fishing boats to safety. On Guam, where Mangkhut already passed, residents dealt with flooded streets, downed trees and widespread power outages. Government agencies were conducting damage assessments and beginning to clear roads, according to the Pacific Daily News. About 80 per cent of the U.S. territory was without power, but it was restored by this morning. Mangkhut, a Thai word for mangosteen, is the 15th storm this year to batter the Philippines, which is hit by about 20 a year and is considered one of the world's most disaster-prone countries. Typhoon Haiyan left more than 7,300 people dead or missing, and displaced over five million in the central Philippines in 2013.